Hide that ugly hose bib with one of our decorative faucet posts. 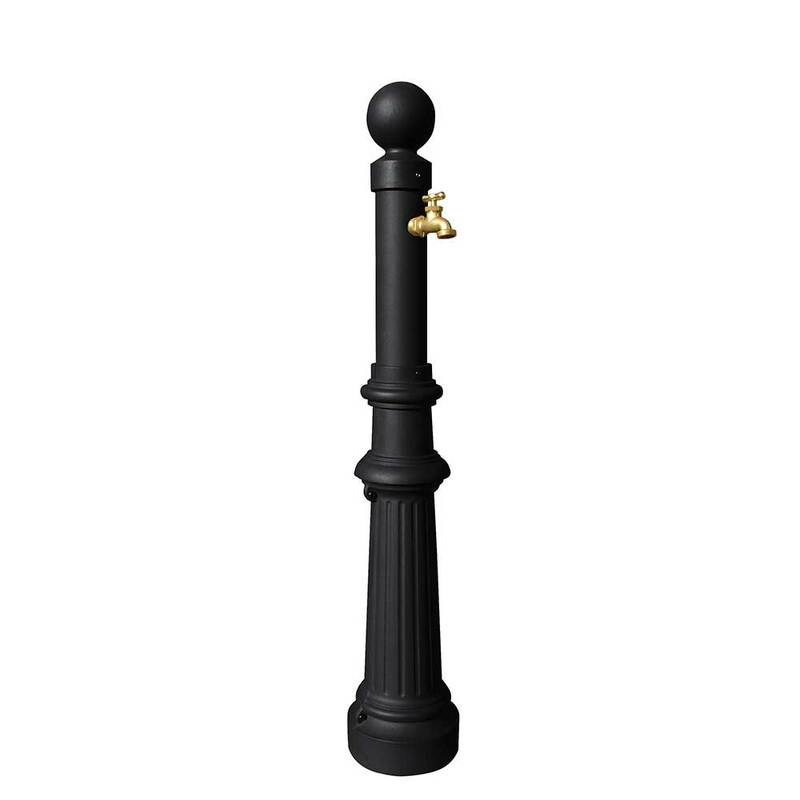 Decorative aluminum post with powder coat finish. Available for in-ground installation or use one of our optional ground spikes. We proudly produce many of the parts and components for our Faucet Post systems in-house. Because of our production capabilities we are happy to also offer custom options. If you see one of our products that does not completely fit your needs, please contact us. We would be happy to work with you to customize our products to fit your needs.